Home » Articles » Impalas cry wolf, so say zebras! We all have that friend – the drama queen who goes off at the drop of a hat, and seems to live in a world crowded with danger and stress. Aside from the entertainment value, we tend, after a while, to ignore their theatrics – right? Well it turns out that impalas are the drama queens of the African bushveld, and other species know it, and don’t take their predator alarm calls too seriously. Life in the bushveld is indeed tough – full of dangerous predators like lions, leopards and cheetahs that would make a meal of you if they had the chance. Prey species such as impalas, zebras and wildebeest are constantly on the lookout for predators, and will sound the alarm when they see, smell or hear one. And all prey species in the area will recognise and react to the alarm calls – but to various degrees, depending on the species sounding the alarm. Researchers have published a report in the journal Animal Behaviour, which suggests that all alarm calls do not carry the same degree of credibility. 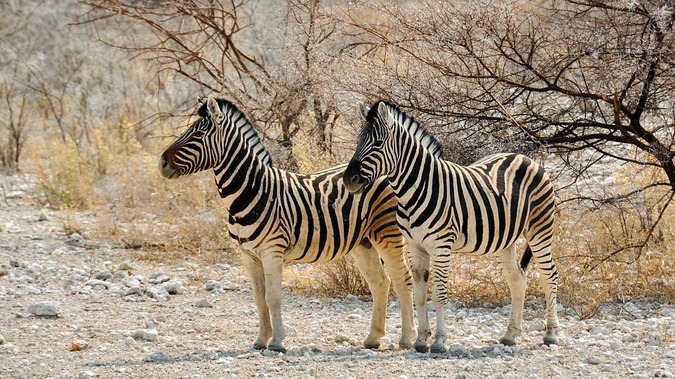 Their study focused on zebras, wildebeests and impalas. When they played recordings of zebra alarm calls (high-pitched whinnying) all three species went on high alert, whereas when impala (loud snort) and wildebeest (sneeze-like snorts) alarm calls were played, zebras were not so concerned. She and her colleague Abby Gross collected alarm call recordings of the three species by showing them a life-sized photograph of a stalking lion mounted on plywood, and taping the resultant vocalisations. They then played the alarm calls to grazing herds of each species and observed how long each species spent on alert, scanning their surroundings for predators, and how swiftly they sounded the alarm and fled. For every species, zebra alarm calls provoked strong reactions. But zebras either ignored impala or wildebeest alarm calls, or stayed vigilant for only a brief time. This may be because adult zebras weigh in at about 450kg/1,000 pounds and have a lethal kick, and would not be too concerned with smaller predators (such as cheetahs and leopards) that could easily kill impalas that weight up to 75kg/165 pounds. 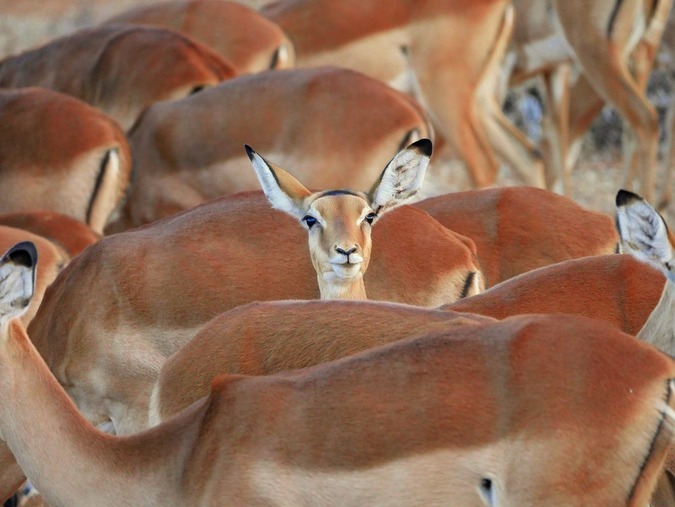 Impalas, on the other hand, reacted to every animal’s distress call. Interestingly, they also reacted more to alarm calls from zebras and wildebeest than they did to those from other impalas! “If you’re an impala and you know that other impala are probably responding to a predator but there’s also a 25 percent chance that they are alarm calling at some waving grass, maybe you would give more weight to an alarm call from something like a zebra which perhaps is a little more discriminatory,” Palmer says. So it seems that even alarm calls are not all equal, and impalas are seen by other species as the drama queens of the bushveld.